This article is about the pseudoscience. Phrenology (from Greek: φρήν, phrēn, “mind”; and λόγος, logos, “knowledge”) is a pseudoscience primarily focused on measurements of the human skull, based on the concept that the brain is the organ of the mind, and that certain brain areas have localized, specific functions or modules. Although both of those ideas have a basis in reality, phrenology extrapolated beyond empirical knowledge in a way that departed from science. Developed by German physician Franz Joseph Gall in 1796, the discipline was very popular in the 19th century, especially from about 1810 until 1840. The principal British centre for phrenology was Edinburgh, where the Edinburgh Phrenological Society was established in 1820. Although now regarded as an obsolete amalgamation of primitive neuroanatomy with moral philosophy, phrenological thinking was influential in 19th-century psychiatry. Gall’s assumption that character, thoughts, and emotions are located in specific parts of the brain is considered an important historical advance toward neuropsychology. Phrenologists believe that the human mind has a set of various mental faculties, each one represented in a different area of the brain. For example, the faculty of “philoprogenitiveness”, from the Greek for “love of offspring”, was located centrally at the back of the head (see illustration of the chart from Webster’s Academic Dictionary). These areas were said to be proportional to a person’s propensities. The importance of an organ was derived from relative size compared to other organs. It was believed that the cranial skull —like a glove on the hand— accommodates to the different sizes of these areas of the brain, so that a person’s capacity for a given personality trait could be determined simply by measuring the area of the skull that overlies the corresponding area of the brain. An older notion was that personality was determined by the four humors. Phrenology is a process that involves observing and/or feeling the skull to determine an individual’s psychological attributes. Franz Joseph Gall believed that the brain was made up of 27 individual organs that determined personality, the first 19 of these ‘organs’ he believed to exist in other animal species. Phrenologists would run their fingertips and palms over the skulls of their patients to feel for enlargements or indentations. The phrenologist would often take measurements with a tape measure of the overall head size and more rarely employ a craniometer, a special version of a caliper. In general, instruments to measure sizes of cranium were used after the main stream phrenology had ended. The phrenologists put emphasis on using drawings of individuals with particular traits, to determine the character of the person and thus many phrenology books show pictures of subjects. From absolute and relative sizes of the skull the phrenologist would assess the character and temperament of the patient. Gall’s list of the “brain organs” was specific. An enlarged organ meant that the patient used that particular “organ” extensively. The number – and more detailed meanings – of organs were added later by other phrenologists. The 27 areas varied in function, from sense of color, to religiosity, to being combative or destructive. Each of the 27 “brain organs” was located under a specific area of the skull. As a phrenologist felt the skull, he would use his knowledge of the shapes of heads and organ positions to determine the overall natural strengths and weaknesses of an individual. Phrenologists believed the head revealed natural tendencies but not absolute limitations or strengths of character. Among the first to identify the brain as the major controlling center for the body were Hippocrates and his followers, inaugurating a major change in thinking from Egyptian, biblical and early Greek views, which based bodily primacy of control on the heart. This belief was supported by the Greek physician Galen, who concluded that mental activity occurred in the brain rather than the heart, contending that the brain, a cold, moist organ formed of sperm, was the seat of the animal soul—one of three “souls” found in the body, each associated with a principal organ. In 1796 the German physician Franz Joseph Gall (1758–1828) began lecturing on organology: the isolation of mental faculties and later cranioscopy which involved reading the skull’s shape as it pertained to the individual. It was Gall’s collaborator Johann Gaspar Spurzheim who would popularize the term “phrenology”. Johann Spurzheim was Gall’s most important collaborator. He worked as Gall’s anatomist until 1813 when for unknown reasons they had a permanent falling out. Publishing under his own name Spurzheim successfully disseminated phrenology throughout the United Kingdom during his lecture tours through 1814 and 1815 and the United States in 1832 where he would eventually die. Gall was more concerned with creating a physical science, so it was through Spurzheim that phrenology was first spread throughout Europe and America. Phrenology, while not universally accepted, was hardly a fringe phenomenon of the era. George Combe would become the chief promoter of phrenology throughout the English speaking world after he viewed a brain dissection by Spurzheim, convincing him of phrenology’s merits. The popularization of phrenology in the middle and working classes was due in part to the idea that scientific knowledge was important and an indication of sophistication and modernity. Cheap and plentiful pamphlets as well as the growing popularity of scientific lectures as entertainment also helped spread phrenology to the masses. Combe created a system of philosophy of the human mind that became popular with the masses because of its simplified principles and wide range of social applications that were in harmony with the liberal Victorian world view. George Combe’s book On the Constitution of Man and its Relationship to External Objects sold over 200, 000 copies through nine editions. Combe also devoted a large portion of his book to reconciling religion and phrenology, which had long been a sticking point. Another reason for its popularity was that phrenology balanced between free will and determinism. A person’s inherent faculties were clear, and no faculty was viewed as evil, though the abuse of a faculty was. Phrenology allowed for self-improvement and upward mobility, while providing fodder for attacks on aristocratic privilege. Phrenology also had wide appeal because of its being a reformist philosophy not a radical one. Phrenology was not limited to the common people and both Queen Victoria and Prince Albert invited George Combe to read the heads of their children. Phrenology came about at a time when scientific procedures and standards for acceptable evidence were still being codified. In the context of Victorian society phrenology was a respectable scientific theory. The Phrenological Society of Edinburgh founded by George and Andrew Combe was an example of the credibility of phrenology at the time, and included a number of extremely influential social reformers and intellectuals, including the publisher Robert Chambers, the astronomer John Pringle Nichol, the evolutionary environmentalist Hewett Cottrell Watson and asylum reformer William A.F. Browne. In 1826, out of the 120 members of the Edinburgh society an estimated one third were from a medical background, and by the 1840s there were over twenty-eight phrenological societies in London with over 1000 members. Another important scholar was Luigi Ferrarese, the leading Italian phrenologist. 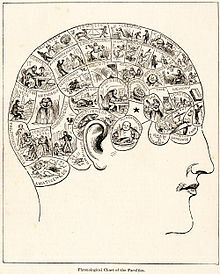 He advocated that governments should embrace phrenology as a scientific means of conquering many social ills and his Memorie Risguardanti La Dottrina Frenologica (1836), is considered “one of the fundamental 19th century works in the field”. Traditionally the mind had been studied through introspection. Phrenology provided an attractive, biological alternative that attempted to unite all mental phenomena using consistent biological terminology. Ironically, Gall’s approach prepared the way for studying the mind that would lead to the downfall of his own theories. Phrenology also contributed to development of physical anthropology, forensic medicine, knowledge of the nervous system and brain anatomy as well as contributing to applied psychology. John Elliotson was a brilliant but erratic heart specialist who became a phrenologist in the 1840s. He was also a mesmerist and combined the two into something he called phrenomesmerism or phrenomagnatism. Changing behaviour through mesmerism eventually won out in Elliotson’s hospital, putting phrenology in a subordinate role.Others amalgamated phrenology and mesmerism as well, such as the practical phrenologists Collyer and Joseph R. Buchanan. The benefits of combining mesmerism and phrenology was that the trance the patient was placed in was supposed to allow for the manipulation of his/her penchants and qualities. For example if the organ of self-esteem was touched the subject would take on a haughty expression. Phrenology was mostly discredited as a scientific theory by the 1840s. This was due only in part to a growing amount of evidence against phrenology. Phrenologists had never been able to agree on the most basic mental organ numbers going from 27 to over 40, and had difficulty locating the mental organs. Phrenologists relied on cranioscopic readings of the skull to find organ locations. Jean Pierre Flourens experiments on the brains of pigeons indicated that the loss of parts of the brain either caused no loss of function, or the loss of a completely different function than what had been attributed to it by phrenology. Flourens experiment, while not perfect, seemed to indicate that Gall’s supposed organs were imaginary. Scientists had also become disillusioned with phrenology since its exploitation with the middle and working classes by entrepreneurs. The popularization had resulted in the simplification of phrenology and mixing in it of principles of physiognomy, which had from the start been rejected by Gall as an indicator of personality. Phrenology from its inception was tainted by accusations of promoting materialism and atheism, and being destructive of morality. These were all factors which led to the downfall of phrenology. During the early 20th century, a revival of interest in phrenology occurred, partly because of studies of evolution, criminology and anthropology (as pursued by Cesare Lombroso). The most famous British phrenologist of the 20th century was the London psychiatrist Bernard Hollander (1864–1934). His main works, The Mental Function of the Brain (1901) and Scientific Phrenology (1902) are an appraisal of Gall’s teachings. Hollander introduced a quantitative approach to the phrenological diagnosis, defining a method for measuring the skull, and comparing the measurements with statistical averages. Bouts, a Roman Catholic priest, became the main promoter of renewed 20th-century interest in phrenology and psychognomy in Belgium. He was also active in Brazil andCanada, where he founded institutes for characterology. His works Psychognomie and Les Grandioses Destinées individuelle et humaine dans la lumière de la Caractérologie et de l’Evolution cérébro-cranienne are considered standard works in the field. In the latter work, which examines the subject of paleoanthropology, Bouts developed a teleologicaland orthogenetical view on a perfecting evolution, from the paleo-encephalical skull shapes of prehistoric man, which he considered still prevalent in criminals and savages, towards a higher form of mankind, thus perpetuating phrenology’s problematic racializing of the human frame. Bouts died on March 7, 1999, after which his work has been continued by the Dutch foundation PPP (Per Pulchritudinem in Pulchritudine), operated by Anette Müller, one of Bouts’ students. In 2007, the US State of Michigan included phrenology in a list of personal services subject to sales tax. Some people with causes used phrenology as justification for European superiority over other “lesser” races. By comparing skulls of different ethnic groups it supposedly allowed for ranking of races from least to most evolved. Broussais, a disciple of Gall, proclaimed that the Caucasians were the “most beautiful” while peoples like the Australian Aboriginal and Maori would never become civilized since they had no cerebral organ for producing great artists. Surprisingly few phrenologists argued against theemancipation of the slaves. Instead they argued that through education and interbreeding the lesser peoples could improve. Another argument was that the natural inequality of people could be used to situate them in the most appropriate place in society. Gender stereotyping was also common with phrenology. Women whose heads were generally larger in the back with lower foreheads were thought to have underdeveloped organs necessary for success in the arts and sciences while having larger mental organs relating to the care of children and religion. While phrenologists did not contend the existence of talented women, this minority did not provide justification for citizenship or participation in politics. The American brothers Lorenzo Niles Fowler (1811–1896) and Orson Squire Fowler (1809–1887) were leading phrenologists of their time. 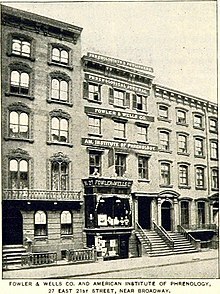 Orson, together with associatesSamuel Wells and Nelson Sizer, ran the phrenological business and publishing house Fowlers & Wells in New York City. Meanwhile, Lorenzo spent much of his life in England where he initiated the famous phrenological publishing house, L.N Fowler & Co., and gained considerable fame with his phrenology head (a china head showing the phrenological faculties), which has become a symbol of the discipline. Orson Fowler was known for his octagonal house. 1848 edition of American Phrenological Journal published by Fowlers & Wells, New York City. In the Victorian age, phrenology as a psychology was taken seriously and permeated the literature and novels of the day. Many prominent public figures such as the Reverend Henry Ward Beecher (a college classmate and initial partner of Orson Fowler) promoted phrenology actively as a source of psychological insight and self-knowledge. Thousands of people consulted phrenologists for advice in various matters, such as hiring personnel or finding suitable marriage partners. As such, phrenology as a brain science waned but developed into the popular psychology of the 19th century. Phrenology was introduced at a time when the old theological and philosophical understanding of the mind was being questioned and no longer seemed adequate in a society that was experiencing rapid social and demographic changes. Phrenology became one of the most popular movements of the Victorian Era. In part phrenology’s success was due to George Combe tailoring phrenology for the middle class. 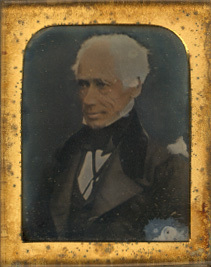 Combe’s book On the Constitution of Man and its Relationship to External Objects was one of the most popular of the time selling over two hundred thousand copies in a ten-year period. Phrenology’s success was also due in part because it was introduced at a time when scientific lectures were becoming a form of middle class entertainment, exposing a large demographic of people to phrenological ideas who wouldn’t have been exposed otherwise. As a result of the changing of the times, along with new avenues for exposure, and its multifaceted appeal phrenology flourished. Phrenology arrived in Ireland in 1815, through Spurzheim. While Ireland largely mirrored British trends, with scientific lectures and demonstrations becoming a popular pastime of the age, by 1815 phrenology had already been ridiculed in some circles priming the audiences to its skeptical claims. Because of this the general public valued it more for its comic relief than anything else, however It did find an audience in the rational dissenters who found it an attractive alternative to explain human motivations without the attached superstitions of religion. The supporters of phrenology in Ireland were relegated to scientific subcultures because the Irish scholars neglected marginal movements like phrenology, denying it scientific support in Ireland. In 1830 George Combe came to Ireland, his self-promotion barely winning out against his lack of medical expertise, still only drew lukewarm crowds. This was due to not only the Vatican’s decree that phrenology was subversive of religion and morality but also that based on phrenology the “Irish Catholics were sui generis a flawed and degenerate breed”. Because of the lack of scientific support, along with religious and prejudicial reasons phrenology never found a wide audience in Ireland. Through the teachings of Gall and Spurzheim phrenological teachings spread, and by the 1834 when Combe came to lecture in the United States phrenology had become a widespread popular movement. Sensing commercial possibilities men like the Fowlers became phrenologists and sought additional ways to bring phrenology to the masses. Though a popular movement, the intellectual elite of the United States found phrenology attractive because it provided a biological explanation of mental processes based on observation, yet it wasn’t accepted uncritically. Some intellectuals accepted organology while questioning cranioscopy. 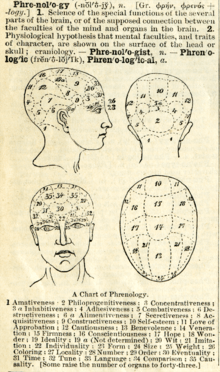 Gradually though the popular success of phrenology undermined its scientific merits in the United States and elsewhere, along with its materialistic underpinnings, fostering radical religious views and increasing evidence to refute phrenological claims by the 1840s it had largely lost its credibility. In the United States, especially in the south, phrenology faced an additional obstacle in the antislavery movement. While phrenologists usually claimed the superiority of the European race, they were often sympathetic to liberal causes including the antislavery movement; this sowed skepticism over phrenology among those who were pro-slavery. The rise and surge in popularity in mesmerism, phrenomesmerism, also had a hand in the loss of interest in phrenology among intellectuals and the general public. Several literary critics have noted the influence of phrenology (and physiognomy) in Edgar Allan Poe‘s fiction.